Workaholic Japan has unveiled its first-ever plan to limit overtime, but critics want to give it the boot, saying an "outrageous" 100-hour-a-month cap will do nothing to tackle karoshi, or death from overwork. Tokyo's bid to ease a national health crisis comes after the top executive at advertising giant Dentsu quit late last year in response to the suicide of a young employee who regularly logged more than 100 hours of overtime a month. The death of Matsuri Takahashi generated nationwide headlines, prompting the government to come up with a solution to punishing work hours blamed for hundreds of deaths due to strokes, heart attacks and suicides every year. A panel headed by Prime Minister Shinzo Abe has since come up with a plan calling for a maximum of 100 overtime hours a month. The conservative leader called it a "historic step for changing the way people work in Japan" but critics think the plan should be given its marching orders. The Labour Lawyers' Association of Japan has slammed the proposed cap as "extremely inappropriate" and "impossible to support". "It's tantamount to endorsing a limit that could cause overwork deaths," said Association head Ichiro Natsume. Others who have lost loved ones to karoshi agree. "We cannot accept this -- it's outrageous," said Emiko Teranishi, who heads a group for relatives of karoshi victims. "I thought the government was finally going to tackle the issue.... But this has turned out to be (a) step backward rather than a step forward." Teranishi's husband was the manager of a struggling soba noodle restaurant in Kyoto when he committed suicide in the mid-nineties after suffering from depression blamed on long working hours. "My husband worked for a total of 4,000 hours a year without weekends off. At most, he had two days off a month," she said, adding that he was pressured to work more by his recession-hit employer. "He was depressed. He told me he couldn't sleep or eat. I asked him to take a day off every morning, but he still went to work." 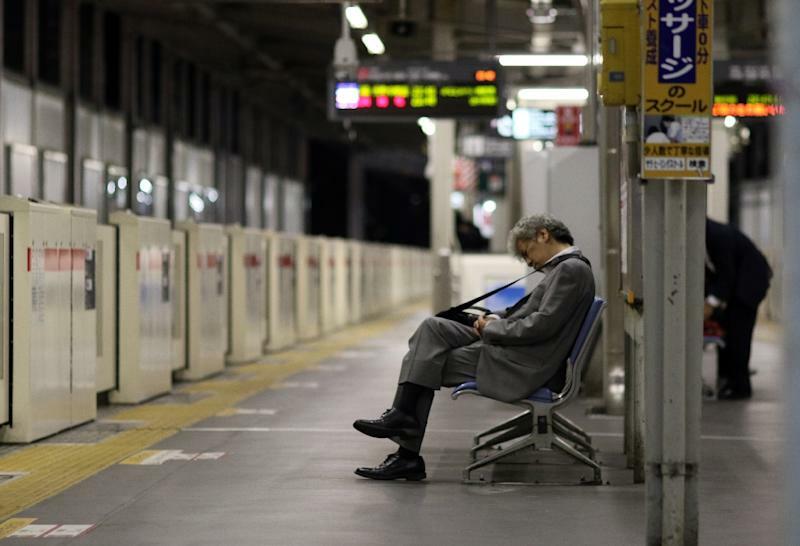 The popular post-war image of a Japanese "salaryman" toiling long hours, drinking with the boss and then taking the last train home has evolved over the decades, but many still spend far more time at the workplace than their counterparts in other modern economies. Currently, Japanese firms can make full-time employees work far beyond the usual 40 hours a week during busy periods. Overtime is viewed as a sign of dedication at many firms, even if Japanese workers' productivity lags behind that of their US and European counterparts. 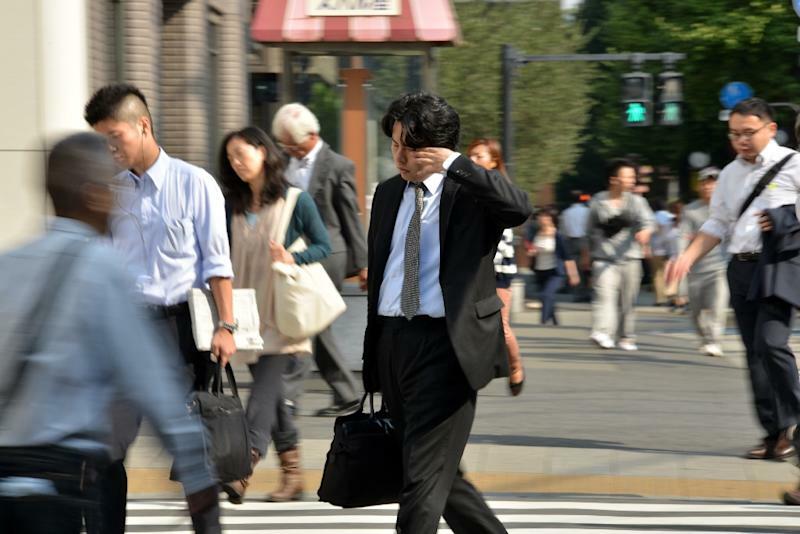 And more than one in five Japanese companies have employees whose tendency to overwork puts them at serious risk of dying, according to a government survey published in October. That survey was part of the nation's first white paper on karoshi. The new rules would limit monthly overtime and levy penalties on firms that don't comply -- both firsts in a country notorious for its gruelling work schedule. The scheme, hammered out by Japan's biggest business lobby Keidanren and the Japanese Trade Union Confederation, known as Rengo, officially says overtime should not exceed 45 hours a month. But the proposed changes to the labour laws, expected to be submitted this year, would let employers make workers put in as many as 100 hours of overtime if the office is busy -- a determination made by managers. Rengo's president Rikio Kozu praised the scheme as "the first step taken toward eliminating karoshi". But it does not do enough to tackle the problem, said Hifumi Okunuki, a unionist and teacher at Sagami Women's University, warning that the death toll was sure to mount unless more stringent action was taken. "It seems we have drifted further away from that day in the future when the word 'karoshi' becomes an historical footnote," she wrote in a Japan Times opinion column. "How many more workers must die before our country wakes up?"